I was disappointed to learn that the city of New Britain is proposing to allocate approximately $450,000 to renovate the building at 265 West Main St. for mixed use, not only as a place of worship for the Calvary Christian Center but to also house an emergency homeless shelter. The building, built in the 1920s as a Masonic Temple, has spent most of its life as the Temple B’Nai Israel, and has been on the National Record of Historic Buildings since 1995. First, the law of the land addresses the separation of church and state. After the city learned they could not use left-over HUD grant money to fund this project, they are pursuing the use of city bond money and that should also be illegal as government money, whatever the designation, should not be used to fund a religious organization. Second, the money will not be reused to restore this stately building, but will be used to solve a number of building and fire code issues brought about by its proposed mixed use and change of occupancy. The proposed use as a homeless shelter at the very least should first be reviewed before any construction commences by the City Plan Commission and ZBA as a special exemption use and to the Historic Preservation Commission if ever public funds were allowed to be used; none of those commissions have even been contacted, never mind approvals given or denied. Third, creating yet another homeless shelter and social service source in an historically significant building and neighborhood abutting Walnut Hill Park is at cross purposes with historic preservation’s mission to stimulate the revitalization of the neighborhoods surrounding the downtown by middle income families, who in turn, after investing hundreds of thousands of dollars to accurately restore homes in the neighborhood within walking distance of downtown, will support downtown businesses & shops, and in turn create a broader more substantial tax base, which in turn could mean lower taxes for us all. Please be aware that the city of New Britain already houses hundreds of homeless people at a number of facilities; some come with substance abuse issues, others are recently released from incarceration, and still others with mental and/or physical disabilities. Presently there are care facilities at the Friendship Center, Prudence Crandall & Farrell Treatment Center, Salvation Army and scattered throughout the city are others such as the one Alderman Brown and his spouse run, and even CMHA has several such sites. I would hope we all want to contribute to revitalizing New Britain to be a desirable place to create a home, raise our families, to work and prosper, to enjoy the many wonderful institutions we have in town, and ultimately grow old here and not have to or want to move away. Let City Hall know we want and need to follow not only the law of the land, but the guidelines and plans already in place to rebuild and restore our city. Let us stop shopping for ways to circumvent these while grabbing for quick-fix solutions that over time are harmful and self-defeating. In reading of the many political mailings from the common council existing candidates promising to "encouraging economic development" and "Creating local jobs" was a comment by a fellow alderman candidate. Amazing with many companies and small businesses moving out of our city when able in finding suitable accommodations. The most recent that left our city are The American Home Medical Supplies that move to Berlin and the only tailor left in New Britain "Anne's Tailoring has moved to Kensington. Landlords are being forced to raise rents to their tenants, because of the O'Brien administration's added inspection fees, while they watch their commercial tenants leaving to other towns with "better political climates." 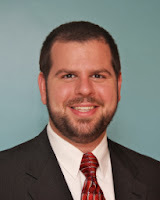 Nicholas Mercier is just the right candidate for the New Britain board of Education. He has fresh ideas and is currently a school teacher at a neighboring town. He will effectively stress for student achievement. It’s Municipal Election time in New Britain; the two daily newspapers are definitely ideologically and heavily bent toward the left, the liberal cause. 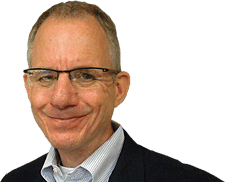 Those of us that wish to read articles that are skewed more toward conservative views on issues or middle of the road views need to read authors such as Chris Powell of the Journal Inquirer of Manchester. Mayor O'Brien's tenure has been described by the two locals as something only a bit short of wonderful while they cite the “so called” accomplishments of this hopeless twit. $ thousands. Conflict of interest, you decide. Does anyone see any savings here or jobs created that benefitted New Britain citizens? Give yourself a gold star if you answered no. Your vote for Erin Stewart and her team on November 5th go a long way toward a return to honesty in government in New Britain. Vote Team Stewart - Row A. Being a newcomer to this year's election cycle it has been quite the challenge for me. I knew how tough it would be with all the campaigning that takes place and all the time and effort that is needed. It's an opportunity that each candidate fights for to obtain that position that they are running for. I've really faced some challenges along the way and found that some people just don't seem to be the one that you really imagined them to be. I try to see the good in people but sometimes it just doesn't happen. I was asked to run for office back in July and I was very grateful for an opportunity to be a part of this city that I have been born and raised in. I thought to myself how great it would be to clean this city up and be a voice for every citizen that needs to be heard. In July I rented a place from Adam Platosz who currently sits on the council. On July 19th I had attended the Republican endorsement meeting and had been nominated as Alderman in District 2. Yes, I then found out I was indeed running against Adam, but already moved into the apartment a week prior. On July 21st, Sunday morning, I had received a phone call from Mr. Platosz asking me "what was going on"? I responded that I was running for alderman and that I was given the chance to do something for this city. He responded by telling me" that it's a lot of work and that I would never be able to handle it." Then he proceeded to tell me "that an eviction will be issued." He said, quote unquote, that it was a slap in his face with everyone is laughing at him. So basically he gave me an option to not run or to lose my home. For someone who sits on the council and to make threats as serious as that, really speaks of that one's character. He is the one who voted for tenants to live in an environmentally safe environment but, he himself has several violations in that apartment, no smoke detectors what so ever with ceiling tiles in the bathroom that were covered with urine, mold as well as unsafe wiring and faulty fixtures. With my complaints to the city health department falling on deaf ears. This man also entered my apartment when I was not home without any reason and without notifying me, invading my privacy, police were called. No individual should have to live in fear wondering if this person is coming into the apartment when asleep. The eviction did take place and I am so grateful to be out of there and finally getting the peace that was needed. So for someone to sit there and say that I would never be able to handle this position is sadly mistaken. Honestly, I've been through a lot in my life and I'm not going to sit back and let this man get away with the things he had done and the things he continues to do. It's true what they say, "You never really know someone until you live with them"! Adam can deny and fabricate anything he wants, but the truth is the truth. I believe Adam feels threatened to lose his position on the council, because my move, is still within his district and he should, because there are far better candidates that can do a better job that clearly he never did or has done! Everything happens for a reason and when you do wrong to someone, it really comes back on you. I don't put anyone down by any means because God knows we all have our experiences and challenges that we face each day of our lives, but to threaten people is uncalled for. Whether I win this election or not, I will hold my head up high, embrace everything and take this as a learning experience and keep trying until I succeed. I was given this chance and I'm not going to back down. I care about this city I live in and will work as hard as I can to make it a better place. It's not about ourselves, it's about this city and every individual that resides in it. 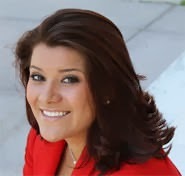 Diane Domejczyk, A team Stewart candidate. 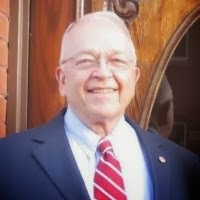 Don Naples: Born and raised here in New Britain served on several commissions of the city, a retired US Coast Guard officer, graduated NBHS and a proud holder BS,MS and MBA Degrees. Candidate for Alderman in Ward Four with Team Stewart. Alderman Roy Centeno who is running for re-election in the 5th ward for the common council with the Alderman owing back taxes of a sum of $1401.86, and expects to be re-elected by those who pay their taxes. Sadly, the Democrats have re-endorsed him even though he owed back taxes during his last election cycle. He is famous for voting for the annual budgets for all of us to pay the taxes but, he neglects to pay his own. a well respected community leader. 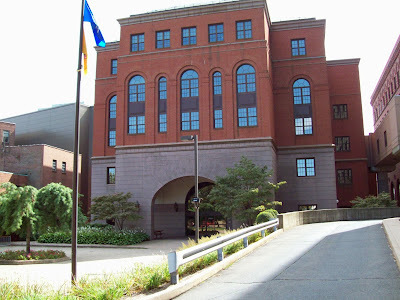 I am filing an appeal for the Commission's help in obtaining documents requested under a Freedom of Information request sent on February 4, 2013 to the City of New Britain, copy follows. The request was sent to the city's website "Contact Us" email address and we received an acknowledgment from the city of our FOI Request as seen in the subject line and header information below, but no documents where ever provided. I believe sufficient time has past for the city of New Britain to produce the documents requested and now believe they is deliberately concealing certain facts from the public. We fear the city acted illegally and confiscated rate payer money from the Water Department Enterprise Account not intended by charter for use with city general obligation expenditures. We respectfully request answers to our questions and request you compel the city to produce the documents requested. President CT Property Owners Alliance Inc. Copy of our initial request acknowledged by the New Britain Webmaster follows. Any and all documents (including resolutions, correspondence, memos, documents, electronic communications or financial recorders) regarding any transfers of funds from the New Britain Water Department Reserve Fund or any and all bank accounts affiliated with the New Britain Water department to the city's General Fund during the 2011-2012 and 2012-2013 fiscal years. Please send us monthly bank statements along with any reconciliation documentations, including but limited to audits, and copies of accountant work product for the water dept and the general fund for 2011, 2012 and 2013. 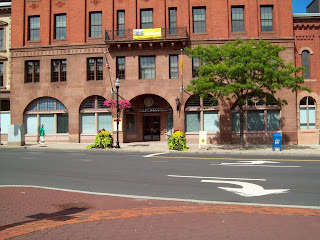 Please also send us copies of all documents whether in paper form or held electronically of any wire transfers, and all checks written from any account affiliated with any city department, agency, which may have been payable by check, transfer or wire to another department, agency or account belonging to or affiliated with the city of New Britain. I am requesting these documents as an officer of a trade organization which operates in the city of New Britain as this matter is of concern to myself and the members of my organization. If electronic format is not available please contact me with further details. I am willing to pay fees for this request up to a maximum of 100.00. If you estimate that the fees will exceed this limit, please inform me first. President, Ct Property Owners Alliance, Inc. In an article that appeared in the New Britain Herald dated September 11, 2009 written by James Craven, a former staff writer with the New Britain Herald entitled, " Political Smears against Mayor traced to state Capitol." This article opened the Pandora's box where it was found that Greg Gerratana was the offender and admitted to Mr. Craven which was publicized. Even our former State Representative, Tim "O'Brien chimed in by saying " I would call on both sides to stop the personal attacks." Which resulted in the removal of Mr. Gerratana from his LOB job and ending his campaign for the New Britain Tax collector that year. 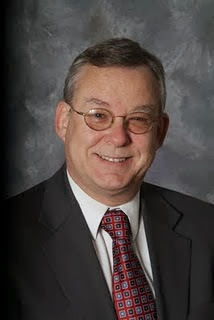 Now With Mayor O'Brien knowing all the adverse political history baggage of this individual, he has the extreme nerve, to add him to his current slate of candidates as the tax collector for the city of New Britain. Rumors at city hall indicates that the Common Council secretary has been replaced by Mrs. Greg Gerratana whose husband is the Democratic candidate for tax collector. Member of the New Britain Chamber of Commerce, NBHS Parents Music Association and NB Business Network Group and at least a dozen or more. He also is running with Stewart for mayor Team. The owners of Allen Street Apartments extend an invite to all New Britain Landlords & Tenants to come meet Erin Stewart tonight at Roma's Restaurant. There are only 13 days left till the election. New Britain needs Erin Stewart to win this election to fix the mess the current Mayor has created! to finance our Government's reckless fiscal policies. The CPOA Debate when Alderman Carlozzi criticized the city's health care system having multiple contracts got his reply from Don Naples agreeing with his comment adding that " he was the only one on the Democratic Slate with "COJONES" to speak of." Laughter was all you could hear for moments before resuming to the planned agenda. Katrina Narvaez, 26, commemorated the death of her cop father, who died in the line of duty when she was 9 years old, as a police woman for the first time and she did it with her father's badge number. OBAMA CARE AT AGE 76 - Adios! If you are approaching 76 years of age next year please read the following. So you don't think there is no such thing as obama death panels just read what Judge Kithil has written. obama doesn't need death panels because when you reach 76 just say "Sayonaro"! If you don't read this, and do nothing about it, don't complain when it affects you or your loved ones!!!!! This is the second Judge to have read the Obama Care document and made comments. More highlights of Nancy 's "pass it and Then find out what's in the bill"!!!!!! Even far left Democrats will not like these. YOU ARE NOT GOING TO LIKE THIS... At age 76 when you most need it most, you are not eligible for cancer treatment * see page 272 What Nancy Pelosi didn't want us to know until after the healthcare bill was passed. Remember she said, "We have to pass the Bill so that we can see what's in it." Well, here it is. ** Page 203/line 14-15: The tax imposed under this section will not be treated as a tax. "Finally, it is specifically stated that this bill will not apply to members of Congress. No wonder they did not see the need to read it....doesn't apply to them!!! 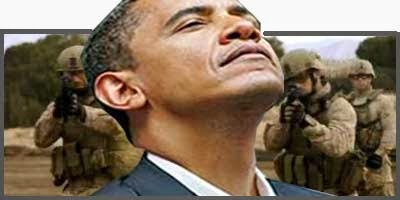 THE AMERICAN PEOPLE NEED TO STAND UP TO WASHINGTON .....NOW! THIS IS OUTRAGEOUS! All of the above should give you the ammo you need to oppose Obamacare. Please send this information on to all of your email contacts. Alderman Platosz supports landlord licensing "FEES." Paul Harvey (1965) "If I Were The Devil"
Mr. Harvey Had No Way of Knowing in 1965 That He Was Really Describing Democrats! I attended the Joseph Carabetta affair at the Whinstone this evening with many good speeches supporting Erin Stewart for Mayor. While there were many dynamic speakers, one really stood out among all the property owners in attendance when a member of team Stewart was asked to speak. Mr. Daniel Serlano, a registered Democrat for many years, quoted the alleged remark made by Democratic Party Chairman John McNamara, who according to Serlano when he learned of Danny's joining the Team Stewart Slate greeted him by saying “You now have joined the party of slumlords." Needless to say the landlords were very disturbed and appalled to hear that O'Brien's Party Chairman calls honest businessmen who provide services to their tenants, "SLUMLORDS." Mr. Carabetta has in excess of 38,000 tenants and was clearly not endeared by McNamara's reference that he too is a "slumlord." Mr. Carabetta made it very clear that he was here to support Erin for Mayor in order to get rid of O'Brien. NEW BRITAIN, CONN. (October 17th, 2013) - "Erin's message of fiscal responsibility and government accountability is the right one for New Britain," Connecticut Independent Party Chairman Michael Telesca said Tuesday in his party's endorsement of mayoral candidate Erin Stewart. "New Britain residents and businesses cannot afford future tax hikes. The city already has the second highest taxes in Connecticut. That's why New Britain needs a mayor who will fight for overburdened taxpayers. 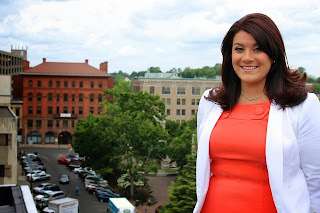 New Britain needs Erin Stewart, and the Connecticut Independent Party is proud to endorse Erin," Telesca said. Stewart, who earned the nomination for mayor from the Republican Town Committee in July and is running with a diverse slate that includes Democrats, Independents, and Libertarians, said she is grateful to have received the official Independent endorsement. "My vision for New Britain is supported by taxpayers regardless of their party affiliation, and that's why I am so honored by the Independent endorsement," Stewart said. "As mayor, I will represent all city taxpayers: Independents, Democrats, Republicans, and Unaffiliated voters. As mayor, my priority will be to make New Britain a government of the people, by the people and for the people," said Stewart, who grew up in a family with notable local city Democrats and Republicans. "The only way New Britain can move forward is if we join together to confront and overcome our challenges," Stewart added. "I love this city. I was born and raised here, I was educated here, and I have served the community for the past decade. I know we can do better. My brand of leadership will be open, honest, transparent and responsive to city residents and businesses," Stewart said. Stewart, who graduated from New Britain High School and Central Connecticut State University, has dedicated the last 10 years of her life to volunteerism and service in the city of New Britain. "As I campaign across our city, I have knocked on the doors of many Independent voters," Stewart added. "Independents want the same things for New Britain that I want: A government that does not waste our tax dollars, a government that does not keep raising our taxes, and a government that listens to us. 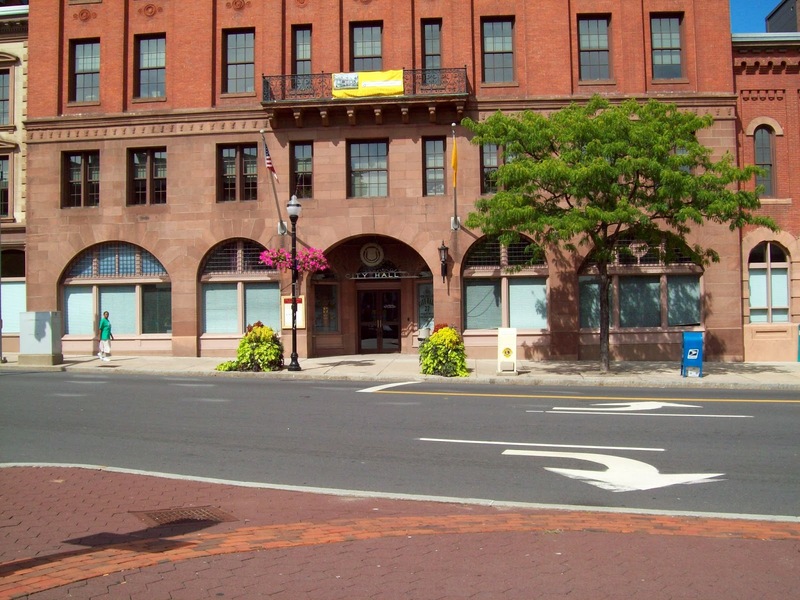 Independent voters know that New Britain does not have that government in city hall now. Like me, they are disappointed with our current leadership. They know our city needs to change," Stewart said. "I am grateful for the Independent Party's support. My campaign continues to gain momentum because voters want straight talk and straight answers. My pledge is simple: I will work on behalf of all New Britain residents," Stewart said. "A new generation of leadership is coming to New Britain. Over the next two and a half weeks, I will continue to criss-cross New Britain to talk with taxpayers. On Nov. 5, I ask for your vote. Together, we are going to make our city great again," Stewart said. Erin Stewart, 26, a lifelong resident of the City of New Britain, comes from a family with a respected tradition of community service. 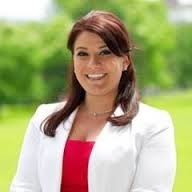 She is a product of the New Britain Consolidated School District and a graduate of Central Connecticut State University. Learn more at www.stewartfornb.com. Paid for by Stewart for New Britain, Kimberly A. Jehning, Treasurer. Approved by Erin E. Stewart. Joe Carabetta, CEO of Carabetta Enterprises, Connecticut's largest private landlord invites you tonight to the Whinstone Restaurant. Meet with Joe and others as they talk about the housing situation in New Britain and why he is supporting Erin Stewart for Mayor. When you listen to Joe speak; you know he truly cares about his 36,000 tenants living in all his properties and Joe wants New Britain to do well in the future. Come and listen to what is happening with housing in New Britain while you enjoy some free food and refreshments compliments of Joe Carabetta. Editorial: Secretary of the State Denise Merrill’s ‘news’ mostly just for Democrats? 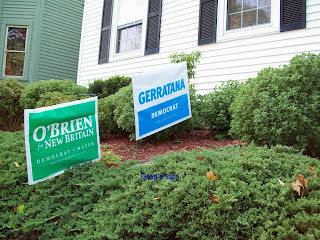 Greg Gerratana's Lawn Signs are Very Deceitful. Passing the only one I have seen so far even after driving around much of the city, I did a double take when seeing the Gerratana name in extra large print but having very small print that isn't easy to notice indicating "tax collector." It gave me the impression that it was our state Senator, his mother, that is running and not Greg. Of course to further this false image, his first name doesn't appear on it at all. 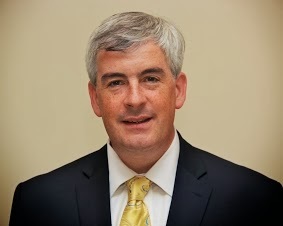 GOP Chairman urges voters to vote out O'Brien! During a recent LOWV debate he pointed out that he heard the mayor tell lie and half truths when boasting about the two million dollar surplus subsequent to raided the water bureau a sum of ten million. He touted that Costco will create new jobs for New Britain but was against the Costco project when he was running for mayor he also claimed that he inherited a fiscal crisis while forgetting that all the previous budgets were approved by the Democratic controlled Common Council membership. Mr. Steele went on to say that O'Brien patted himself on the back for reducing city departments but did not show the taxpayers the any savings that has occurred with those cuts. He was very polite in saying that O'Brien thinks that the voters don't care for the details with his thinking that the voters will continue if he "tells you lies that sound nice." Talk of a possible sale of the New Britain's Biggest asset. The Honorable Nancy Johnson has cautioned our Mayor to not sell our biggest asset the town has. She was able to obtain Federal Funds totaling a sum of $15,000,000 which covered a portion of the cost in building our new plant and the sole purpose of this funding was to keep the customer's rate of cost down. She noted that our city could suffer another downgrade subsequently to our receiving two recent downgrades by Moody's and Fitch. Our Creditors would demand higher interest rates, for the existing bonds we now owe, because of our poor financial management style currently at city hall causing her predicted new downgrade. Frederick T. Stanley the city's first mayor had the foresight, when serving has chairman of the city's water commission, by establishing a self sustaining water fund. Our City's future depends on not selling this enormous asset. my grandmother and grandfather left Ukraine, escape from communism. They came to America, that are seeking freedom. When they settled in new Britain, they thought that they were settling in free society with freedoms, as they can never have to even dream in Europe. Now the Communists are trying to steal, that the freedom of one big state control for other, I believe that one day we all will wake up and think that is back behind the wall in Communist Soviet Union. I think that voting for О'Брайен is voting for the same big communist government my grandmother and grandfather hated and vote for Erin Stewart takes a position for reduction of the state apparatus and individual freedoms. My grandmother and grandfather must rotate in their graves on how these godless communists destroy our nation once a good and free. 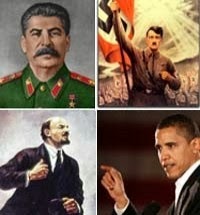 Did not survive the destruction of freedom by voting for democrats, who believe that communism is the way. 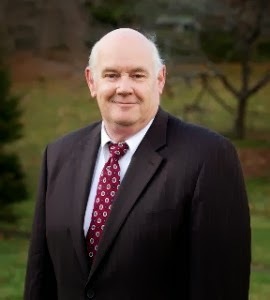 Connecticut Property Owners Alliance Inc.
New Britain landlords will soon write checks to the TAX COLLECTOR, CITY OF NEW BRITAIN to pay for their landlord licensing fee if Tim O'Brien is re-elected. New Britain landlords will be forced to raise rents on working class tenants if fees increase. Other cities are watching closely what is going on in New Britain and will adopt similar policies and fees. Do not rely on somebody else to take action, WE NEED YOU! We are meeting at Roma's Restaurant, 382 Allen Street on Thursday, 10/10/13 at 7:00PM to help organize rental property owners and their tenants to combat this attack on affordable housing; please attend. Alderman Adam Platosz did carry out his threat to evict his tenant for being a candidate against him in ward two however, Adam she did move out has she promised but, she stills resides in your district. If you should have time to read this week's edition of the New Britain City Journal regarding endorsements by this paper, Diane Domejczyk and Chris Duffy received its endorsement leaving you and Ms. Black out in the cold within your district with the paper's endorsement. Referring to both of as "bobble heads" for voting what the Democratic party ordered. What remains are the "Alleged code violations"within your building. Will they continue to exist with the Mayor's office blocking the enforcement of the alledged needed upgrades? Mr. Donald DeFronzo a former State Senator for the City of New Britain is now the State commissioner of Administrative Services who was appointed by Governor Malloy. 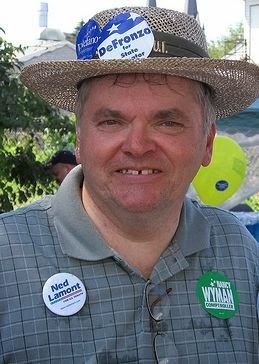 His six figure salary is paid/supported by "ALL" the citizens of the State of Connecticut, regardless of their Party affiliation. As such, like it or not Donald DeFronzo should not be playing partisan politics and openly supporting Democrat Tim O'Brien, it is morally wrong. DeFronzo should receive a strong rebuke from Governor Malloy. On Friday, 10/5/13, Donald DeFronzo's letter to the editor to the New Britain Herald was printed on the "Opinion" page. The letter was entitled, "DeFronzo; Mayor O'Brien gets things done." The letter is written like a newspaper advertisement for O'Brien's reelection campaign. Letters to the editor in The Herald always print both the name of the author and the name of the town where the author resides, and in cases where it is appropriate, the person's title, e.g. "State Commissioner of Administrative Services." Such was not the case with this letter. The letter by DeFronzo had neither his town of residence (New Britain) nor his title , i.e., State Commissioner of Administrative Services ! I'm going to take a little license here; in my religion of choice we have two kinds of sins, "sins of omission and sins of commission." The Herald in its editorial lapses committed both types of sins. The Herald is a professional news medium and as such must not be forgiven for this lapse. The Herald should never have been complicit in this type of political chicanery. Paid for by Bernacki for Town Clerk, Frank Marrocco Treasurer. Approved by Mark Bernacki . Would you like to contribute to Mark's ad book?